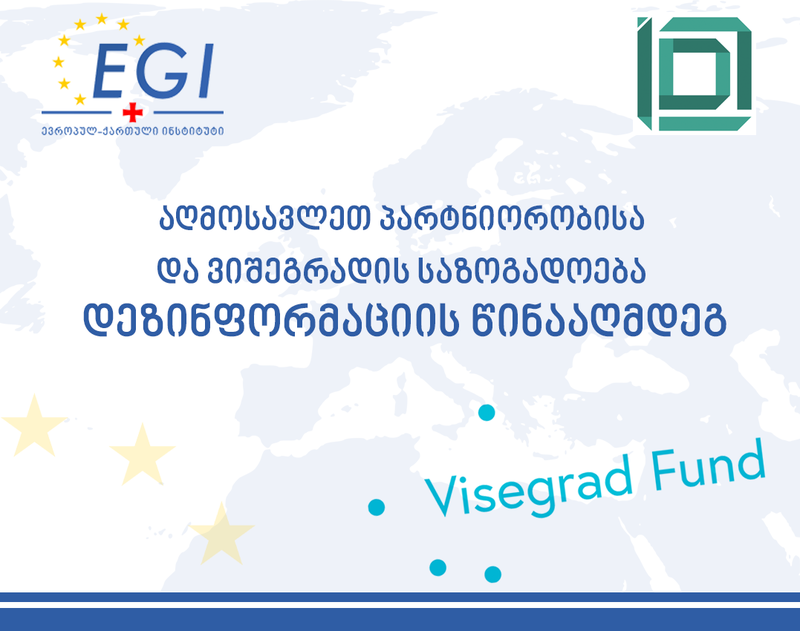 The Europe-Georgia Institute and the Civil Development and Research Institute with the financial Support of the International Visegrad Fund begins the implementation of the project “EaP and V4 Communities Countering Misinformation”. The project aims at developing innovative approaches to counter Russian propaganda and other hybrid threats in the Eastern Europe. The project puts emphasis on improving media literacy and critical thinking skills in Eastern Partnership and Visegrád Group countries, especially among young people. Importantly, all countries from the Visegrád Group and Eastern Partnership will participate in the action.